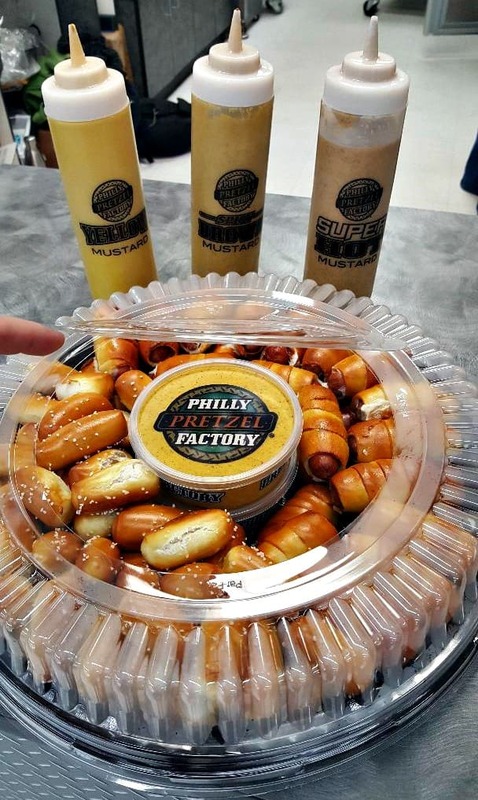 Philly Pretzel Factory Review by Julee Morrison | Philly Pretzel Factory has the Party Platter for Your Holiday! 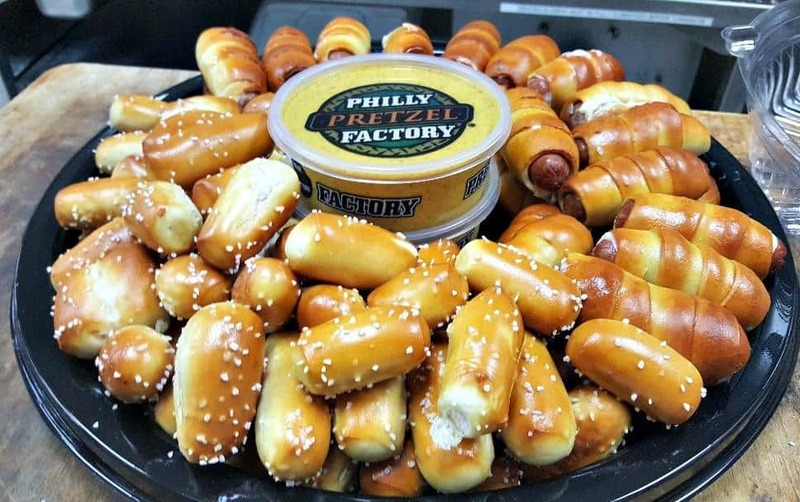 Whether your hosting at your house or traveling to someone else's Philly Pretzel Factory has new party platters that are sure to be a hit! We stopped by the location in Charlotte, North Carolina and ordered one to go! Home of the Real Soft Pretzel... Philly Pretzel Factory is the world's largest Philly-style pretzel bakery, with well over 100 franchised locations - and growing. Every day at The Factory, they mix their freshly made dough, and hand twists every pretzel. 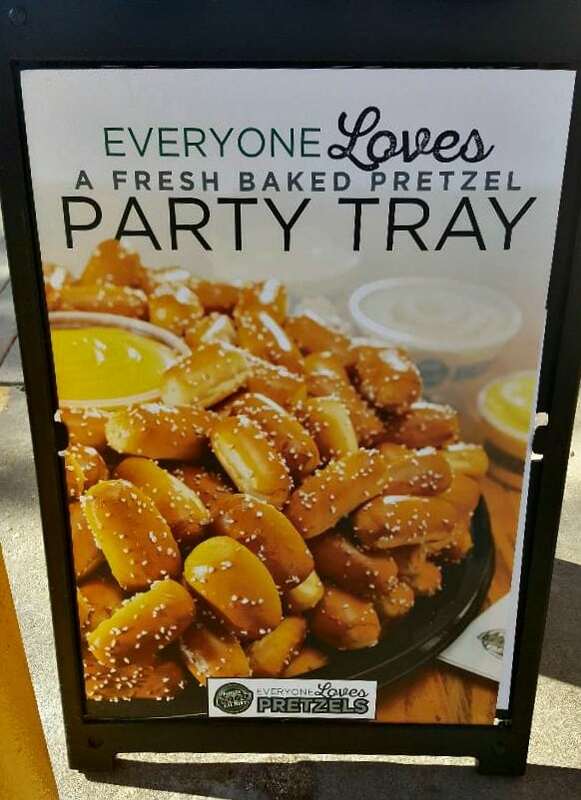 From award-winning soft pretzels to crowd-pleasing party trays, every menu item is guaranteed to be freshly baked and served hot outta the oven! 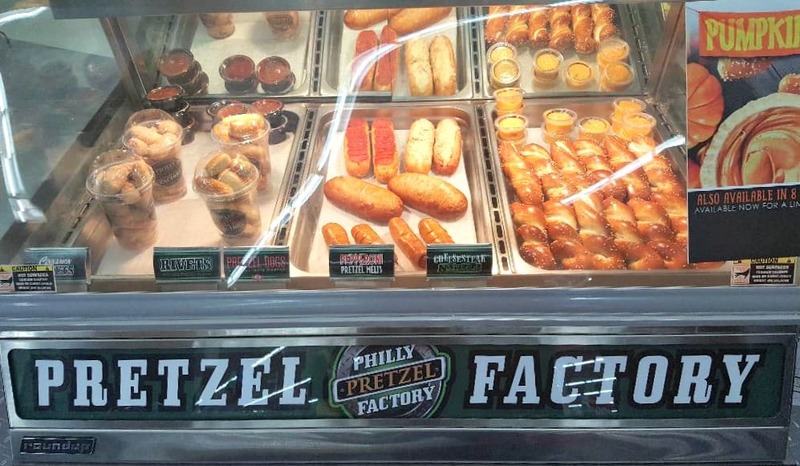 Philly Pretzel Factory is the world's largest Philly-style pretzel bakery, with well over 100 franchised locations. Find yours here! My children love soft pretzels. 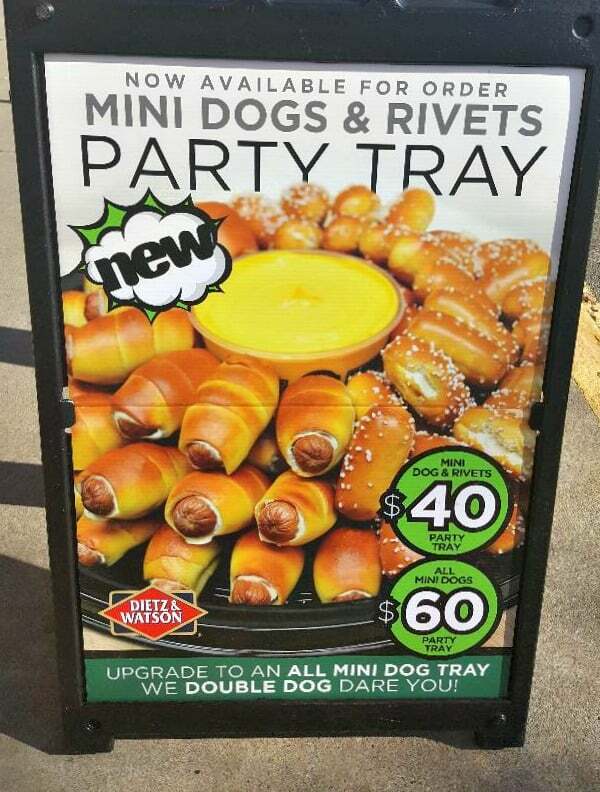 They were so excited to see the rivets offered as part of the party platter. They also thought it was awesome someone thought to wrap a hot dog with pretzel dough. It took about 20 minutes for our party play to be prepared. We watched the pretzel rivets and dogs go in the oven. We selected our "dips". 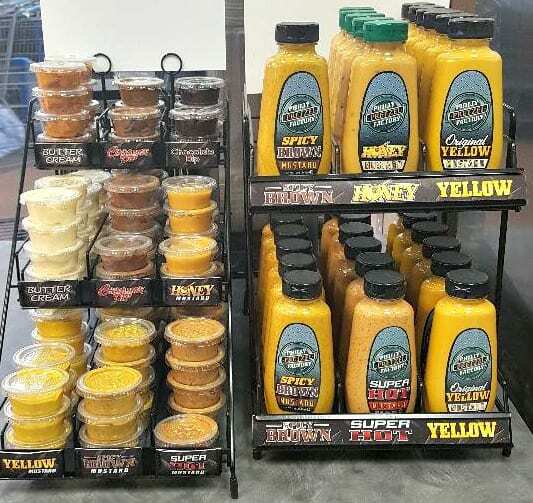 We chose a spicy brown mustard and honey mustard. When the pretzels came out, they prepared them on the tray. The coarse salt and buttery crust called to the taste buds. The golden brown meant they were cooked perfectly. Everyone was helpful and friendly. Quality is premium here, right down to the drinks. My children wanted a frozen lemonade. As the Philly Pretzel Factory employee, David, began to pour it, he stopped and said, "This needs to firm up a bit more; do you mind waiting; or would you rather have something else?" Philly Pretzel Factory is perfect for the holidays. 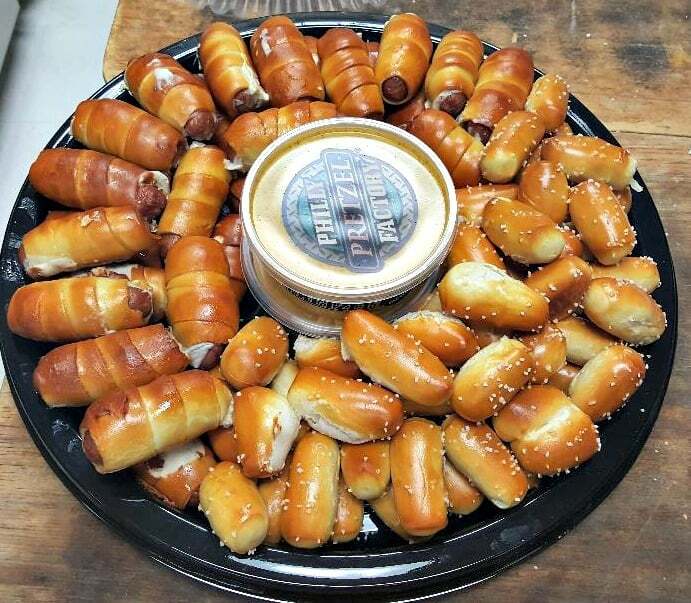 Party platter that you and your guests will love. Convenient trays, complete with mustard dip for the ultimate wow factor! We received a Philly Pretzel Factory Gift Card in exchange for this post. All opinions and our love for all things pretzel remain our own.